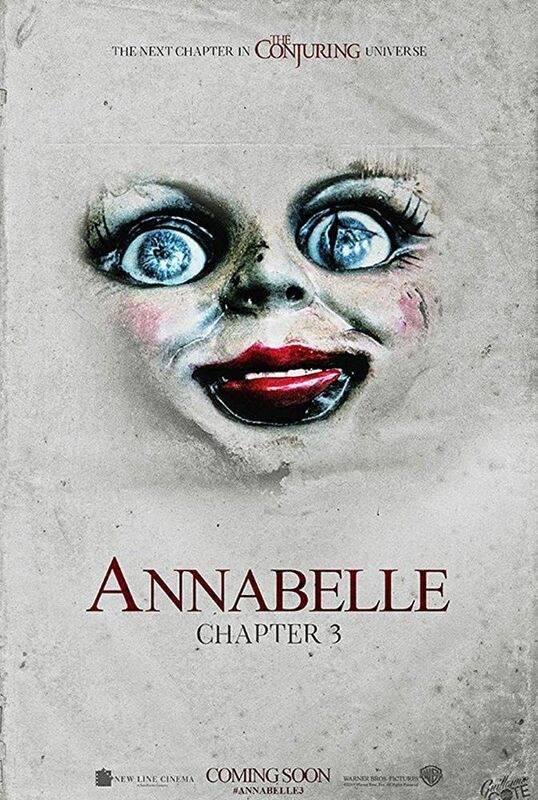 The founding member of the Conjuring universe has teased the first official look for the third Anabelle movie. James Wan has recently teased the first look from his upcoming horror flick, Annabelle Comes Home. The Aquaman's director is back with another spine-tingling chapter to add in his ever-growing Conjuring franchise that started back in 2013. Conjuring is one of the most successful horror series of modern Hollywood. The first two films from the franchise primarily revolve around ‘the real life’ cases of paranormal investigators Ed and Lorraine Warren. Wan, himself served as a helmsman for the first movie which saw a significant gain over at the box office ($319 million) followed by an equally successful sequel. In addition, the collection has also spawned three spin-offs, namely Anabelle (2014), Anabelle: The Creation (2017), and The Nun (2018). Anabelle Comes Home releases on June 28 of this year. For Anabelle Comes Home, Director Gary Dauberman (the scrivener from 2017, It) is picking up the story of Anabelle: The Creation, where we were left off with the satanic Annabelle returning home with her boyfriend only to kill her foster parents. Producer Wan shared the first official look of Anabelle Comes Homes through his official Instagram account. The film will have its worldwide release on June 28 of this year. The trailer of the film is yet to be announced by the Warner Bros. Pictures—but if the speculations turn out to be true then it might be aired during the theatrical period of Stephen King’s adaptation, Pet Semetary. Although Dauberman has previously written the screenplay for the first two Anabelle movies and last year’s The Nun, it will be the first time he is directing a big screen project. By late September of 2018, McKenna Grace and Madison Iseman were tapped in to play the Warrens' 10-year-old daughter, Judy and one of Judy's teenage babysitters, respectively. A month after that Katie Sarife had also joined the cast to portray the role of Daniela. The same month, Patrick Wilson and Vera Farmiga were announced to reprise their roles as Ed and Lorraine Warren. Reports have it, Annabelle Comes Home will focus on a fateful night when Ed and Lorraine Warren are away; leaving their daughter, Judy and her two babysitters alone in the house of horror during which Anabelle decides to wake up the evil presences through Warrens’ room of cursed artifacts. Wan is returning in the project but only as a writer and a producer. In the meantime, he will also be working in other ventures such as The Curse of La Llorona, The Crooked Man, and his own, The Conjuring 3.